Genero Browser Client 1.00.47, released on September 7th 2018. GBC 1.00.47 introduces a new widget named “Accordion folders”. More details may be found in the BDL documentation. Genero Desktop Client 3.10.18, released on September 7th 2018. Genero Mobile for Android Client 1.30.15, released on September 11th 2018. Genero BDL bundle 3.10.17, released on September 14th 2018. Genero Application Server 3.00.39, released on September 20th 2018. 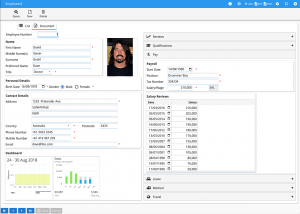 Genero Desktop Client 3.00.31, released on September 27th 2018. Genero Application Server 2.50.57, released on September 20th 2018.